On May 1st, 2011, Nazmiyal Collection will be hosting an exciting Antique Rug Auction Online featuring a selection of outstanding antique carpets and collectible textile pieces from around the world. 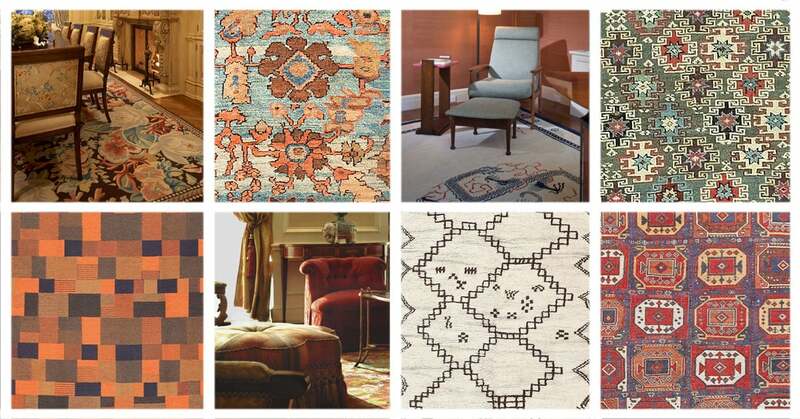 This unique collection is comprised of various collectible, decorative and rare carpets and textiles from the 17th century to Mid-Century Modern and Art Deco carpets. This awe-inspiring auction features several beautiful Bakshaish carpets and mid-century Moroccans decorated with ancient cultural patterns as well as an exceptional and extremely rare and important late 19th century silk Heriz rug (Lot #126). Other pieces of note include a 19th century Turkish Milas (Lot #108), an exceptional Mohtashem Kashan (Lot #127), and many other decorative and rare rugs from all parts of the world. 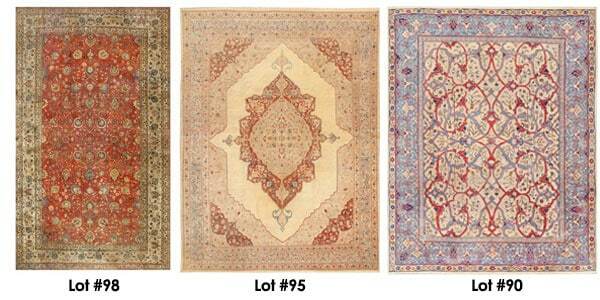 Welcome to Nazmiyal Auctions, the premier online rug auction house for fine antique rugs. It is our privilege to offer you access to an exclusive collection of heirloom carpets and estate pieces that are seldom available at market. Nazmiyal Auctions is the latest venture from the dedicated carpet experts at Nazmiyal Collection. The exceptional pieces included in this continuous auction will be offered along with the service and expertise that customers expect from Nazmiyal Collection. For 30 years, we have been bringing people and rugs together. Now, Nazmiyal Auctions is uniting designers and collectors with rugs from around the world in an entirely new way. As one of the largest international rug dealers, we are constantly procuring fine antique and rare vintage rugs. Occasionally, we find pieces that are exceptionally rare, special or offered at prices that we cannot pass up. Even with our considerable buying power, we cannot incorporate all of these remarkable items into our main collection. To manage this special reserve of world-class rugs, we created Nazmiyal Auctions. Each item offered by Nazmiyal Auctions will be part of a constantly evolving exhibit and live auction. 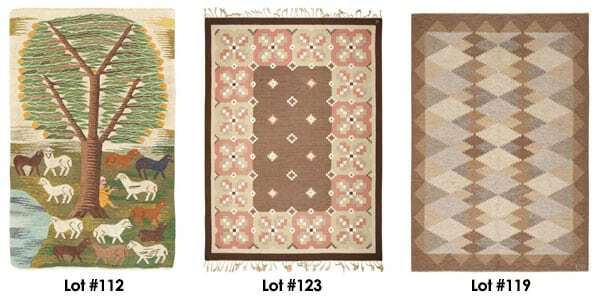 Every listing will feature a hand-picked collector's piece or investment-worthy estate rugs offered directly by Nazmiyal. As the only specialty auction site dedicated to fine rugs, we have access to pieces from the most exclusive collections and private estates in the world. All of our auction services are available to the public and are built upon our foundation of knowledge, integrity and customer satisfaction. Register with Nazmiyal Auctions to begin bidding today. 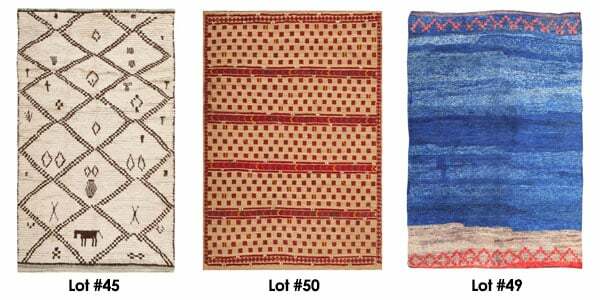 Nazmiyal Rug Auction: November 6th -- Autumn is a season of change – as the foliage is transformed and we trade in our swimsuits for sweaters, it feels as if we’re collectively turning over a new leaf. We’re bidding farewell to lazy summer vacations, getting back to work and getting excited about new projects. For many, the impulse to adjust and improve which comes with the changing of the seasons stretches into our home decor aspirations. As the air gets colder and we’re spending more time inside, it makes sense that many of us are feeling inspired to transform our homes into more stylish and welcoming spaces -- After all, retreating home to escape the cold is much more enjoyable if you adorn your nest with furnishings that bring a sense of beauty and tranquility to your home. For those with the itch to invest in their interiors this fall, Nazmiyal rug auction offers an enticing option: The auction house, which deals primarily in fine antique rugs and vintage carpets, is kicking off its season with a spectacular auction of over 120 antique, vintage and Persian rugs sourced from their collection, as well as from collectors’ estates across the USA and Europe. The live auction, which will take place online on November 6th at 7:00 pm, EST, gives customers a rare opportunity to purchase these antiques at a steep discount: Starting bids for all of the items are much lower than the rugs’ true market values, which means that upgrading your interior with a classic and authentic piece of history is more attainable than you may realize. 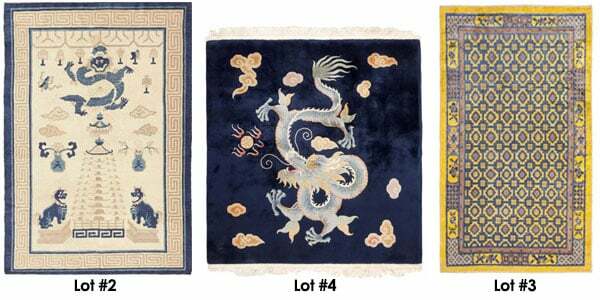 In addition to the fact that pieces in this auction are priced-to-sell, another aspect of this sale that will appeal to shoppers is the extraordinary variety of colors, styles, and rug sizes offered by Nazmiyal Auctions. The pieces in the collection offered in Nazmiyal’s November 6th sale range in origin from China to Persia, to Morocco and beyond. There is a large selection of antique Turkish Oushak rugs, which are highly coveted by interior designers, as well as rugs by well-known weavers and artists such as Marta Maas Fjetterstrom, from Sweden. Traditional and highly collectible Oriental rugs from China and the Middle East are available, while tribal rugs from the Caucuses and Art Deco carpets from across the world offer customers with modern rug tastes plenty of options. Jason Nazmiyal, owner of Nazmiyal Auctions, reiterates the exceptional variety of this selection: "The auction on November 6th undoubtedly has something for everyone. Whether you’re a collector of rugs, dealer in antique rugs, designer or an individual shopping for your own home or office, I’m confident our selection will exceed your expectations". Exceeding customer expectations is important to Nazmiyal, who in addition to offering condition reports on each piece in the collection as well as access to his staff of rug experts, is presenting customers with the opportunity to come into Nazmiyal’s Manhattan showroom and preview the rugs and carpets in person. The auction preview will take place Monday, November 3rd to Thursday, November 6th, from 10:00 am until 5:00 pm. At the preview, experts will be on hand to answer any questions potential bidders may have and customers will have a chance to view the true color texture, and quality of the auction lots in person. Although the auction will be held live online on Thursday, November 6th at 7:00 pm, bidders may place bids online, by telephone, or via absentee bid forms from now until the close of the auction. Interested customers can learn more about how to place bids on this auction by calling Nazmiyal (Monday through Friday, 9:00 am - 5:00 pm, at 212-545-8029), or by visiting Nazmiyal Auctions online.